http://charlotteskitchendiary.com/2012/06/12/the-guild-of-food-writers-awards-2012/ This mix is a great sampler of Omar-S’ prolific output. It should be sub-titled “Condensed and Compressed”; in fact it’s odd to hear these tunes mastered to be loud and (relatively) clean. While the mixing is a little rough at times, it’s a far-cry from the CD-Rs you can buy directly from FXHE. Those are much more heartfelt, akin to sitting in someone’s basement listening to incredibly crackly old house records. Some of my personal favorites are here. “Strider’s World” slowly grows on you with its video game bleeps and vocal grunts. By contrast, “Oasis Four” is a swim in a cool pool. The synths all have soft edges. 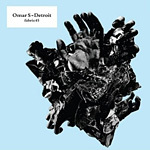 “U” cements Omar’s outsider status, with singing from another world (or at least another key) over dubby chords. “Psychotic Synthesis” is the ultimate slow-builder, presented here nearly full-length. “Oasis One” is perfect for late-night radio, with hisses and crunches evoking a sinister factory. “Day” is like cotton candy, repeating a short, catchy Motown sample. If this mix brings Omar’s material to a broader audience, and enables him to make more music, then it has fulfilled its purpose. If you already own all of these records, it’s not essential, but how can a completist resist? http://charlotteskitchendiary.com/2013/11/06/honey-and-walnut-granary-loaf/ Can’t wait to check this out!